Get Branch-Breaking Yields with Galaxy! Galaxy has plenty of power & a fast finish, but her drought-busting yields make her a standout cannabis seed. Put these babies in your collection & you'll never go without! With a sweet/spicy aroma and a citrus/aniseed flavour, Ganesh Spirit is as tasty as she is strong! Ganesh Spirit is a super-fast Sativa with booming highs and lasting stones! The Best Big Bud Hybrid Going! Big Bud & Northern Lights are 2 truly amazing strains, but when combined, they're out of this world! Gigabud is that strain. Very Rare & Hard to Find! 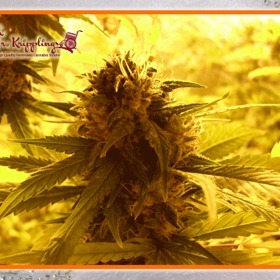 Packed to the bursting point with THC & rich, full-bodied flavours, Girl Scout Cookies is every bit at good as they say. 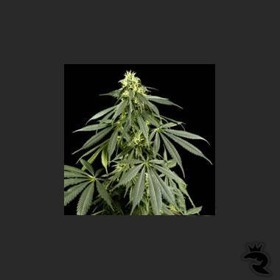 They're tall, high-yielding & oozing with resin - this Sativa-dominant strain is a must-buy! Genuine Thin Mint GSC in 55 Days with 22% THC! 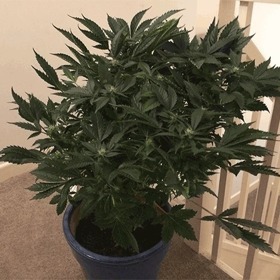 Fast Buds managed to shove all that thin mint goodness into a tiny autoflowering seed that literally explodes with fat, sticky buds in just 8 to 9 weeks from the start. Contains Genuine Gorilla Glue #4 Genetics! If you've been itching to try GG#4, give yourself a big, old scratch with Glueberry OG Seeds. This GG#4 X OG X Blueberry combo is a triple threat! Big, Fat Buds Weighed Down With Resin! Gorilla Glue is, without a doubt, the most coveted strain on the planet, and for good reason. She'll glue your bum to the couch right after she gums up your scissors for good - well sticky! Scissor-Clogging Resin, 8 Weeks from Seed! Why wait for months when you can have Gorilla Glue Auto's extreme bulk & dab-friendly crystal content in just 8 to 9 weeks from seed? Fast Buds makes it happen! Thick, Heavy Stones - Body & Mind!